WINCHESTER, Va., February 23, 2015 – It’s a clean sweep! First in Brand Familiarity. First in Brand Used Most. First in Brand Used in the Past Two Years. First in Quality. 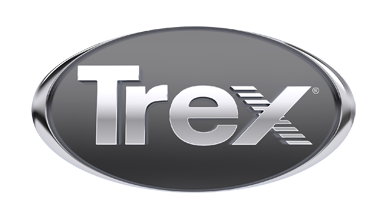 Trex Company (NYSE: TREX), the world’s largest manufacturer of wood-alternative decking and railing, dominated the 2015 Builder magazine Brand Use Study, outranking all other composite manufacturers in every subcategory measured for the Composite/PVC Decking industry. This year’s Study sets multiple records, as it marks the first time in recent history that a single manufacturer has topped all four subcategories. It’s also the eighth consecutive year that Trex has earned no. 1 rankings in Brand Familiarity, Brand Used Most, and Brand Used in the Past Two Years. In that same time period, Trex has expanded its offerings into a full portfolio of beautiful integrated outdoor living options. From its wide selection of railing to Trex Elevations® Steel Deck Framing, Trex Spiral Stairs™, Trex Outdoor Lighting™ and accessories such as pergolas, Trex Outdoor Furniture™ and the just-introduced Trex Outdoor Storage™ collection – Trex’s product mix has grown far beyond decking to offer homeowners complete outdoor living solutions. The statements in this press release regarding the Company's expected future performance and condition constitute "forward-looking statements" within the meaning of Section 27A of the Securities Act of 1933 and Section 21E of the Securities Exchange Act of 1934. These statements are subject to risks and uncertainties that could cause the Company's actual operating results to differ materially. Such risks and uncertainties include the extent of market acceptance of the Company's products; the costs associated with the development and launch of new products and the market acceptance of such new products; the sensitivity of the Company's business to general economic conditions; the impact of weather-related demand fluctuations on inventory levels in the distribution channel and sales of the Company’s products; the Company's ability to obtain raw materials at acceptable prices; the Company's ability to maintain product quality and product performance at an acceptable cost; the level of expenses associated with product replacement and consumer relations expenses related to product quality; and the highly competitive markets in which the Company operates. Documents filed with the Securities and Exchange Commission by the Company, including in particular its latest annual report on Form 10-K and quarterly reports on Form 10-Q, discuss some of the important factors that could cause the Company's actual results to differ materially from those expressed or implied in these forward-looking statements. The Company expressly disclaims any obligation to update or revise publicly any forward-looking statements, whether as a result of new information, future events or otherwise.